Girls X Battle 2 is quite challenging Idle game where you combat rivalries in a wide range of game modes. The player progress mainly through the campaign battles. In addition to this mode, the game offers guild boss battle where you and other guild members attack the guild boss, league battles where you compete for the rank, and there are many more. If you are stuck on a stage, let’s have a look at our Girls X Battle 2 Intermediate guide and learn all the ways to pass every single stage. Let’s get started – Girls X Battle 2 Intermediate Guide! Well, the game is Idle and you earn most of the items without doing any work. But make sure to collect the loot every now and then. In the campaign battles, the girls fight the enemies and you get a bunch of rewards including lunch boxes, gear, gift box, and more. Tap the loot button and claim all the free items. This is one of the ways to get free lunch box loot. EXP Quiz grants lunch boxes. As you level up in Girls X Battle 2, you will get more rounds in the quiz and eventually more lunch boxes. In Girls X Battle 2, you can use the crystals to buy a bunch of items in the store. Tap the shop button and go to the market. There you may get the lunch boxes. You can always refresh the details; for the first time, it would be free. In the tests mode, you progress floor by floor. The higher the floor number, the more difficult will be the fight. From this mode, you can earn lunch boxes. To play this mode, you need permit pass. Permit passes regenerate over time and one player can hold up to 10 passes. If you want to earn friendship currency, you must scout every 8 hours. Tap the friends option on the top-left side of the screen -> co-op -> scout. You can earn crystals, friendship currency, and loads of gold. Sign in daily to receive diamonds and shards. Tap the homework button -> sign in daily. If you deploy 6 girls of the same faction, you will get a massive aura boost; HP boost, Attack Boost. Characters(Mage, Priest, Warrior, Assassin, Ranger) can get a boost if you invest in the guild lab. 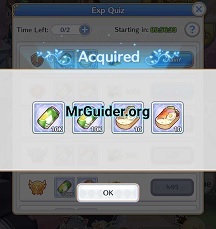 Guild -> Guild Lab -> spend the guild coins. You can earn guild coins by participating in the guild boss event and other guild activities(daily sign in).